« Do On-Line Colleges Give Women Greater Opportunities in Non-Traditional Careers? Seldom do I read a New Yorker magazine article in its entirety, but in the case of Jane Kramer’s intriguing profile of French philosopher, Elisabeth Badinter in the July 25, 2011 issues of said magazine, I actually read it twice. And then I went and ordered her last book, Dead End Feminism. This is a woman I want to get to know because she struggles with modern “feminism” much in the same way I do. 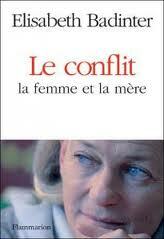 The piece is entitled Against Nature; it’s subtitled Elisabeth Badinter’s contrarian feminism. She earns that description because she exposes the many contradictory facets of a movement fractionated so badly that it has regressed. Women are giving up hard fought for rights in order to fulfill the biological imperative instead of seeking career, power in the political discourse, and economic independence. Badinter, as do I, believes that this choice has been forced. In some places, Germany for example, less than 20% of mothers work. An epidemic of “working-mother guilt” has taken over their culture and ours. In my own rather extensive 30 year experience in counseling and mentoring young women seeking careers in a rigorous field, assurance that a family and career are compatible outranks eager questions about what it’s like or what it takes to become a surgeon. Or maybe women are just plain tired of fighting with the structures and policies that have let them go only so far. Even mandating quotas has not brought women to the table in numbers expected. And I understand why–these places are not designed to accommodate the schedules, rhythms and work-styles of women. Badinter as philosophe, espouses from a position of privilege, exposing the new “sociobiologic fiction” that “womb and breast” trump full participation of women in the fullness of life’s experience. She does not seem to me to be a contrarian, but has earned my respect as one who is shining a light on the newest unwelcome and unwarranted backlash against women who have benefited themselves and society and their families by being liberated from the single role of motherhood. The article is well worth the read. The release of the English translation of her book, Le Conflit: La Femme et la Mere will soon be in my “cart” on Amazon. This entry was posted in My Family/My DNA, Women at Work. Bookmark the permalink. Post a comment or leave a trackback: Trackback URL. Thank you. This has been such a tortured trajectory.